Your October's Sky — By Ear and Eye! BHUBANESWAR, India -- Two people have been injured and several homes badly damaged by a suspected meteorite crashing into a village in eastern India, reports said Sunday. The fiery object crashed to earth shortly after sunset Saturday in the coastal state of Orissa, the Press Trust of India reported. Witnesses reported a bright fireball briefly lighting up the night sky and causing panic among local residents, the PTI report said. Reports from several districts described an ear spitting noise that shattered several windows as the object sped overhead. At least one part of the fireball came down in a village in Mayurbhanj district, setting several homes alight and lightly injuring at least two people. The report said other parts of the suspected meteorite may have crashed into another village, also setting at least one thatched house ablaze. Officials in the area have been asked to collect any remaining samples of the object for scientific analysis. 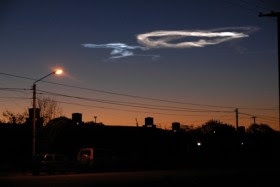 The PTI quoted local meteorological and space experts as saying the object was most likely a meteor. Hundreds of small objects strike the Earth's atmosphere every day, creating what are commonly known as shooting stars or, more properly, meteors. However, all but a few burn up or explode well before they hit the ground as a result of the friction caused by entering the Earth's atmosphere at speeds in excess of 10,000 kilometers an hour. Those few rocks that do survive the fiery journey are known as meteorites. Kendrapara, formerly also known as Orissa. Will marshal the Sentinel facts & measures and post composite with movie. 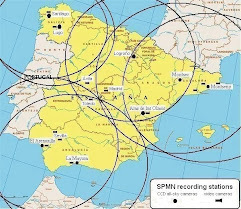 maximum range of this station. was seen and felt betweeen Mendoza and La Pampa provinces in Argentina. 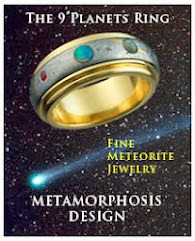 take the meteorites out of Argentina. "...“I saw something shoot across the sky. It was the size of a baseball,” said Armenti. It exploded in about six or seven pieces, but I didn’t hear any noise. It blew apart and then it just disappeared.”..."
into red chunks and pieces within seconds," he said...."
Christian Life Academy students on Friday sat in a portable planetarium where they watched images depicting a meteorite crashing into the ground and destroying dinosaurs 65 million years ago. NASA's Moon Mineralogy Mapper, an instrument on the Indian Space Research Organization's Chandrayaan-1 mission, took this image of Earth's moon. 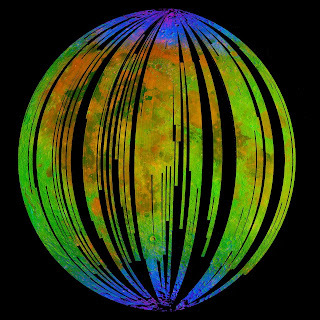 It is a three-color composite of reflected near-infrared radiation from the sun, and illustrates the extent to which different materials are mapped across the side of the moon that faces Earth. 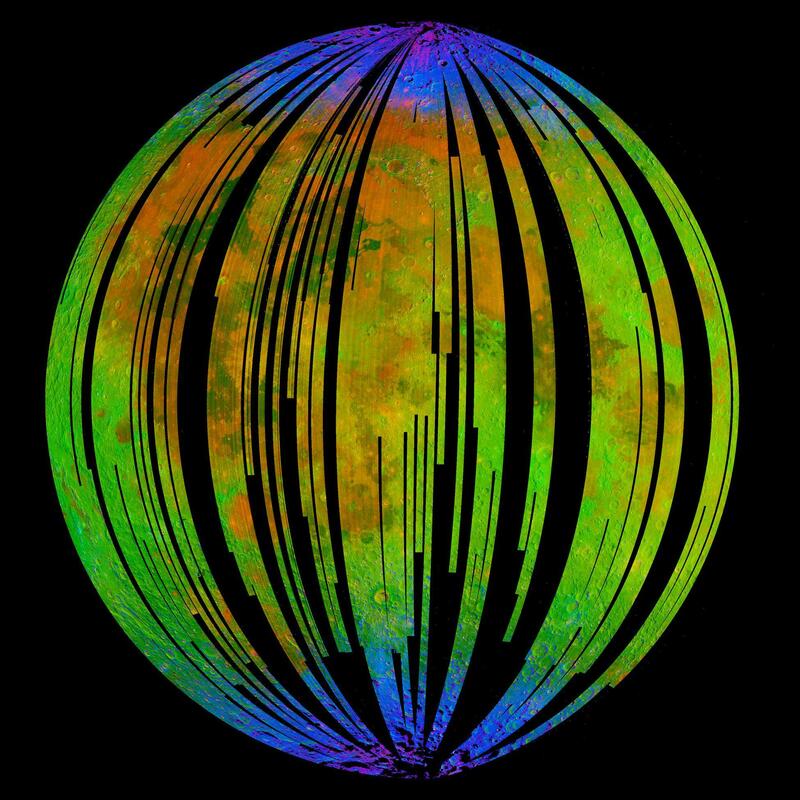 Small amounts of water were detected on the surface of the moon at various locations. This image illustrates their distribution at high latitudes toward the poles. Blue shows the signature of water, green shows the brightness of the surface as measured by reflected infrared radiation from the sun and red shows an iron-bearing mineral called pyroxene. Heavy giant found three years ago in Sweden by adventurer Jiri Simek. He wants his museum to donate. 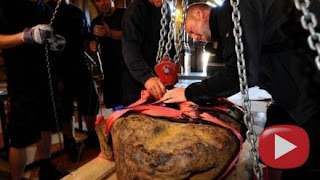 Vsebina Forwarders, special chodolezu and especially a lot of strong hands of a few men were needed for the removal of nearly ton meteorite Muonionalusta. On Friday, went to the National Museum, where he will admire until July next year. Of nickel iron meteorite is one of the largest space rocks found on Earth. Its discoverer, adventurer Jiri Simek he found three hundred kilometers above the Arctic Circle. Rested two meters deep, I have found him three years ago in Sweden at a depth of two meters, which is unique because meteorites are usually found on the surface, "described the meteorite finder Jiri Simek. The stone is also the oldest piece of what ever managed to find. The ground fell from one million years. And it hit an iceberg, neroztříštil to small pieces. It is probably a fragmented core of the asteroid was a meteorite, according to experts metal core of the asteroid, which is in conflict with the earth shattered into many pieces. Unique is now located in the foyer of the museum and become part of the new exhibition The story of planet Earth. Figure there will be a unique addition to 30 stone from Mars or the Moon. Discovered by him, while still only loaned to the National Museum, but now negotiations are underway for its donation. 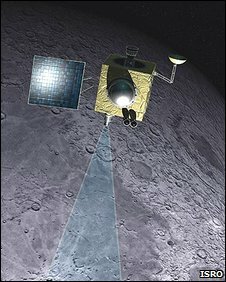 India's inaugural Moon mission has been hailed as a "grand success" by the head of India's space agency, after helping find evidence of water on the Moon. Did comet crashes help spark Earth life? Based on evidence from meteorite studies, researchers are simulating comet impacts to see if they might help proliferate the left-handedness in molecules that life on Earth depends upon. An orbiter spots ice in five meteorite craters. The planet's underground ice sheet could be twice the size of Greenland's, scientists say. There is much more water on Mars than anyone had thought -- possibly twice as much as in Greenland's ice sheet, scientists said Thursday. NASA's Mars Reconnaissance Orbiter has revealed frozen water hiding just below the surface of mid-latitude Mars. The spacecraft's observations were obtained from orbit after meteorites excavated fresh craters on the Red Planet. Fresh meteorite impacts on Mars have revealed ice under the surface far closer to the Martian equator than astronomers expected to find it. Science editor Alan Boyle's Weblog: Researchers spot fresh water ice that was thrown up by meteorite impacts on Mars â and then happily watch it disappear. excavated fresh craters on the Red Planet. one of the orbiter's instruments to confirm it is water ice. expected in the Martian climate. 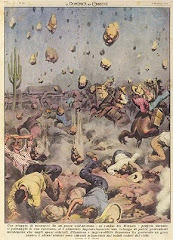 thousand years ago," said Shane Byrne of the University of Arizona. the Sept. 25 edition of the journal Science. operating the orbiter's Context Camera. than the ones that revealed ice. confirming a cluster of small craters. looked a lot like ice." spectrometer instrument on the orbiter to determine its composition. crater had a larger area of bright material. "We were excited about it, so we did a quick-turnaround observation,"
was important to get the spectrum for confirmation." tests for life on another planet. spacecraft. The Context Camera was built and is operated by Malin. coordination with an international team of researchers. is about one percent dirt and 99 percent ice." at five different Martian sites. crash into dust-covered Mars terrain. high-resolution images of the dark spots. poking up from the bottom of the crater. It looked a lot like water ice. Mars' surface and turns directly into water vapor in the atmosphere." noticed anything unusual. This discovery would have just passed us by." edition of the journal Science. ago, perhaps just several thousand years ago." landing site on the northern plains of Mars, Byrne noted. 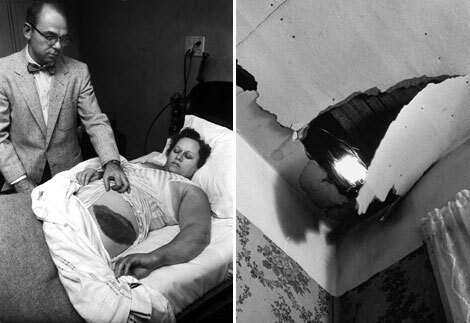 meteor impacts was unexpected, he said. pure ice lenses form beneath the surface of the Earth. of the planet in the high latitude regions," Byrne said. features on the surface of the planet. landing May 25, 2008, and lasted five months, until winter arrived. NASA's Science Mission Directorate in Washington. Camera is operated by and was provided by Malin Space Science Systems. operates it in coordination with an international team of researchers.